This is the start of your sweet story. The part where your pages meet his, no matter where your tale takes your tomorrow, your story will always be told. Let us illustrate our fairytale. Award-winning photography, at its best. Free copyrights with all affordable packages. I am local and have lived in Colorado for 25 years! I have a rustic touch and have an eye for a country styled wedding. My prices are affordable and customizable. A premiere Wedding Portrait Photographer for Denver and the Mountain Towns of Western Colorado. The moment is only temporary, but the memory lasts a lifetime make sure you pick the right company to cover your event. We have over 20 years of experience photographing and videotaping every shape and size wedding imaginable. Fun, artistic images that you and even your parents will love! This is your epoch moment... Capture it! My mission is to capture beautiful images that tell your wedding story from start to finish. Wedding photography is my creative passion and I'd love the opportunity to offer you timeless images from your wedding day. Real couples, real moments, epic locations. Photographing daring couples in the Southwest and abroad! Georgia specializes in unique and unconventional weddings and elopements. Innovative motion is elegance and creativity meshed within two thriving industries – photography and cinematography. Our portraits tell stories, while our cinematography seeks to capture emotions and hidden whispers between each scene. Wife and Husband photography team capturing love stories all around Colorado. 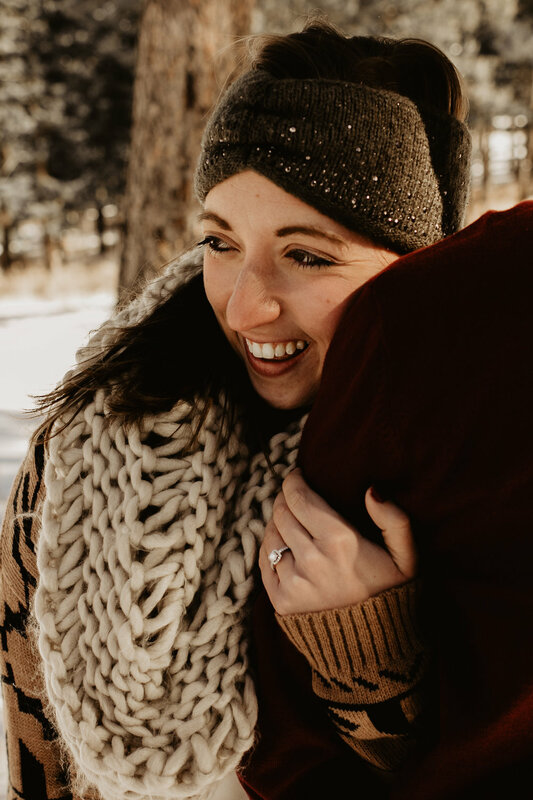 Global and destination wedding storyteller based in Denver, CO.
Julie Ulstrup Photography specializes in capturing all of life's joyful moments with stunning images along with professional and personal service that you will remember long after your wedding day. My fun and relaxed personality and creative flair will make your wedding photographs shine. From Colorado to international weddings, you'll be thrilled with the level of service I provide. Kate offers artistic storytelling for modern couples. She's a dog obsessed, coffee shop lurking, playful photographer with a dry sense of humor (British and can't help it) that she loves using to diffuse awkwardness in front of the camera. She is "anti-posing" and wants to capture couples as they truly are instead of in some stiff, uncomfortable, pose. Sarah Lindsay is an outdoor wedding photographer who specializes in using available light to tell the story of her couples. She understands that every wedding is unique and needs to be treated that way. Vibrant, narrative photography for couples on a budget. We specialize in weddings of all shapes and sizes, including urban weddings in the Mile High City! We also love traveling up to the mountains for a breath of that Colorado fresh air, and on the weekends you can find us shooting all over this wonderful state, from Breckenridge to Fort Collins to the Denver Botanic Gardens! Get in touch and let's go on a wild wedding safari together. With over 400 weddings and more than a decade of experience, Vow Studios brings a wealth of wedding experience to every single event.